Here are two examples of cadview clients running on Windows. 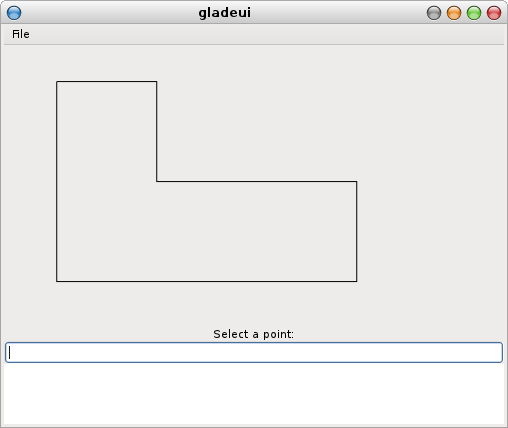 The first is simply the earlier gladeui sample built on Windows using MSVC. Headers and libraries for GTK+ (http://www.gtk.org/download/win32.php) need to be installed. A VC++ project  was created to refer to the gladeui source files. The project is located at /src/msvc/gladeui. No significant changes were made to the gladeui source. The second example is called winui and talks directly to the Windows API and GDI+. When handling paint events we require an object using which to perform graphics output. In the GTK+ case, I could simply create the cairo_t object within the handler. In case of the Windows API, the output must be performed via an HDC which is passed as a parameter with the WM_PAINT event. In order to accommodate this, cad_gui_view::paint was modified to take a cad_gui_view::graphics_type& as a parameter. winui is located at /src/msvc/winui in the repo. ^ I had to fall back on a handcrafted MSVC build since CMake failed to find GTK+ and Boost on Windows. The MSVC solution can be found at /src/msvc/msvc.sln within the repository. boost::regex (http://www.boostpro.com/download/) headers and libraries need to be installed for both examples. The visible area of the widget – the view – is represented by the cad_gui_view class. cad_gui_view does not interact directly with the underlying GUI but instead depends on a pair of adaptor classes for GUI facilities. 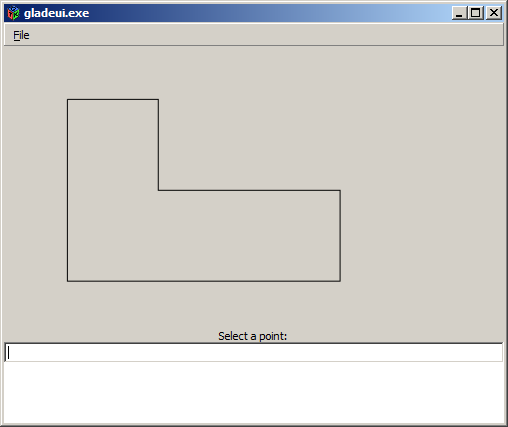 The first adaptor class is the template parameter U of cad_gui_view and provides facilities like getting the position of the mouse cursor (get_mouse_position) and invalidating the view (invalidate). The second adaptor class is the U::graphics_type type. This type provides facilities to draw on screen (draw_polyline, move_to, line_to) and converting between screen and world co-ordinates (device_to_user). The cad_gtk_adaptor is an implementation of the first adaptor class (the U parameter) using GTK+. cad_cairo_graphics implements the U::graphics_type using cairo. In a similar way, we can create adaptors for other GUI platforms (e.g. 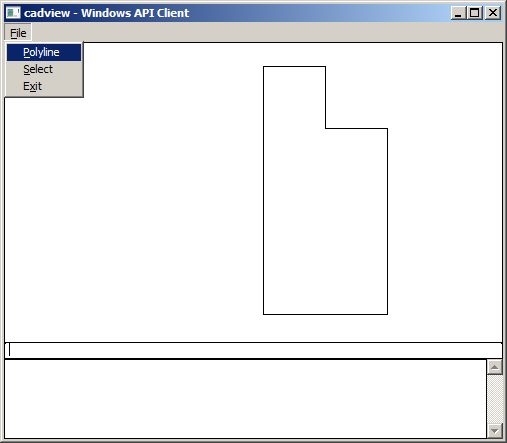 cad_windows_adaptor to wrap around Windows API and cad_windows_graphics to talk to an HDC).